Metal detecting is a fairly safe activity. However, like most things, there are a few precautions every detectorist should take in order to make treasure hunting even safer. When you’re out in the field, protecting your well-being should be a top priority. A pair of good, solid work gloves should always be worn whenever you’re out metal detecting. After all, you never know what you may unearth. There could be broken shards of glass in the soil, parasites, rusty metal, or a variety of other things you’ll end up touching that you ought to protect your hands from and work gloves will do the trick. In addition to gloves, wearing the proper clothing when out metal detecting is important too. You should wear pants to protect your legs, a hat for sun protection, and good boots both for traction when walking, as well as to protect your feet while unearthing the treasures you find. Having a first aid kit along with you while metal detecting will come in handy. While cuts are common when working out in the field, you never know when you may step wrong and twist an ankle, or get a splinter or thorn from a plant. In order to be prepared for these and other emergencies while out metal detecting carrying a first aid kit is a good idea. It’s also smart to pack more water than you usually need. You may wander farther than you thought, the day may get hotter than you planned, or any number of other things may happen where having extra water would end up being quite important. Because most metal detectorists don’t stick to the trails so to speak, having a GPS is incredibly helpful. You can also find recommended treasure hunting sites and historical locales. GPS can be useful if you’re geocacheing with a metal detector, too. Whenever you go out metal detecting, be sure to let a friend or family member know where you’re headed, when you plan to be back, and who you’re going out with so someone can watch for your safe return. The buddy system isn’t just good for your swimming trips as kids, it’s a good idea when out metal detecting too. Not sure who to go with? 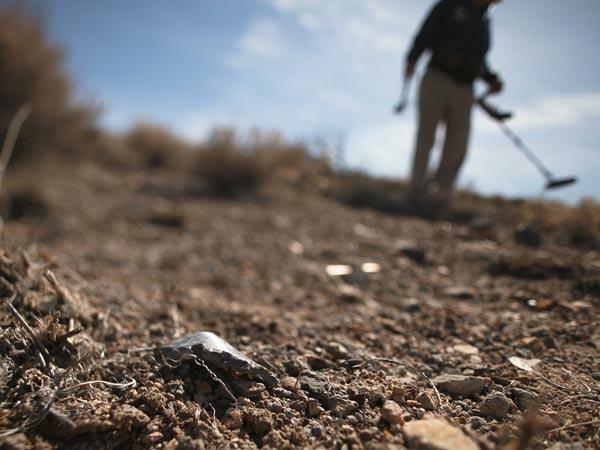 There are a number of metal detecting clubs throughout the United States and around the world. Join one and have some fun with others who share your love of metal detecting while keeping each other safe when out in the field. Along with these safety tips, you’ll also want to make sure you bring along enough food, a cell phone, and anything else you may need depending on your climate and situation (ie. some extra clothing, or your medications). When you think about safety at home, you avoid problems out in the field. So get prepared and enjoy your metal detecting trips even more knowing you’re ready should any problems arise. About the author: Michael Bernzweig managesMetalDetector.com in Southborough, MA. He has written on the subject of treasure hunting and metal detecting since the mid 1980’s. He enjoys traveling with his metal detector and helping to educate others in the correct use of metal detectors in their explorations.